We began our business in our home a couple of years ago, specializing in our home made, chemical free Crunchy Clean laundry detergents. We have always been passionate about the environment and making this world a better place for the future generation. So more recently we've begun introducing some of our other favorite cleaning essentials. And you'll soon find that there is more in store for Crunchy Clean! 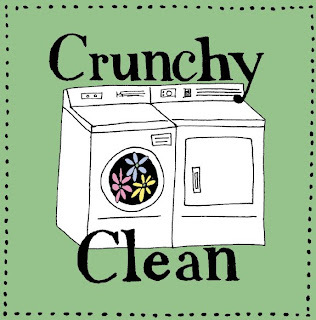 This blog is a space where we'll be posting some of our favorite articles about cloth diapering, cleaning, and sharing other news about being "crunchy" and "clean."